I visited Nanko Park in Shirakawa City today which is located in the southern part of Fukushima. 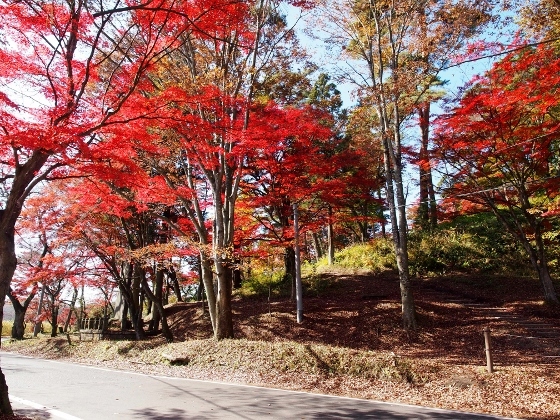 I enjoyed beautiful scenery with autumn leaves and mountain views far away in the west and south. 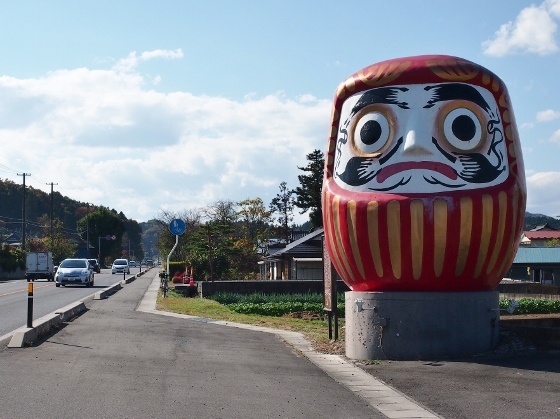 On the way along National Route 4, I found giant Shirakawa Dharma dolls red and white standing beside the road. 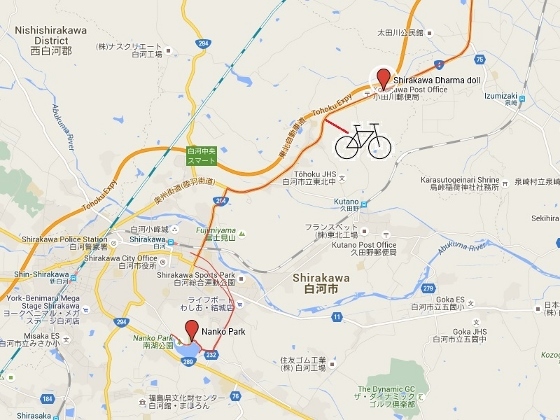 Picture above shows today's view of Nanko Park with Nasu Mountain Range in the far behind. 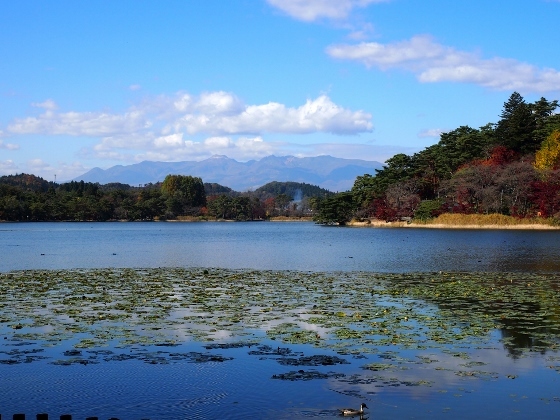 This park was first build in 1801 by the Shirakawa Lord Sadanobu Matsudaira. 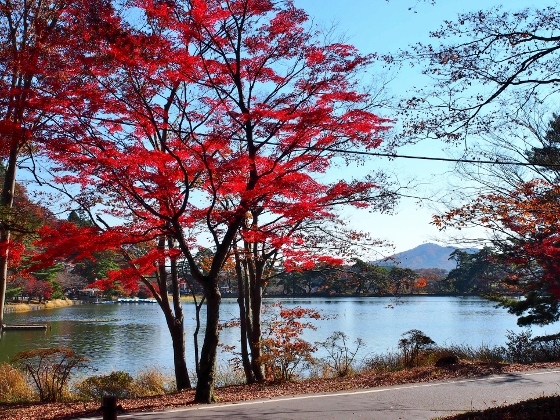 This is the oldest park in Japan and is designated as National Scenic Site as well as National Historic Site. 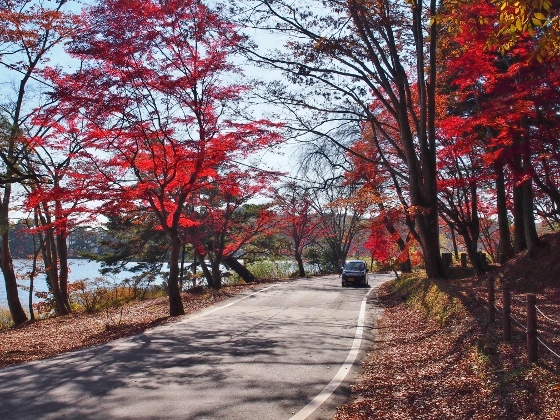 Along the perimeter of the Nanko Lake, many maple trees displayed beautiful red colors as shown above. The last picture includes Mt. 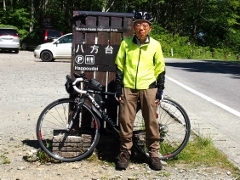 Yamizo (1022m) in the south at the border with Ibaraki Pref. 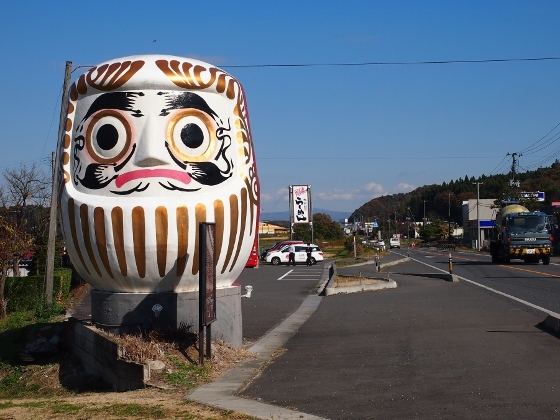 On the way back, I stopped at giant Shirakawa Dharma dolls standing just beside the National Route 4 as shown above. 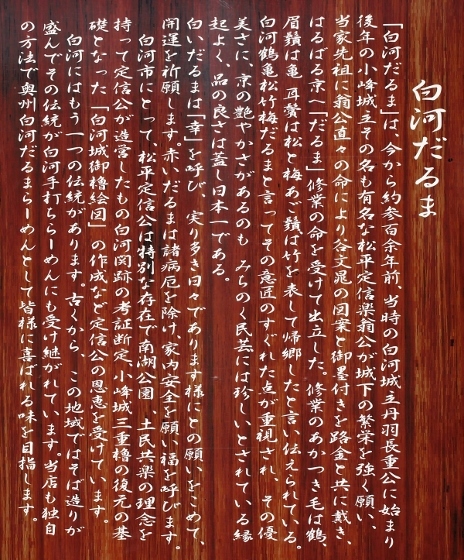 Shirakawa Dharma has been passed down from more than 300 years ago. The red one is for health and safety, and the white one for good luck. There was a Shirakawa Ramen restaurant adjacent to these dolls. Shirakawa Ramen is a specialty of the city. I had "Red Dharma Ramen" for lunch and this was very good.